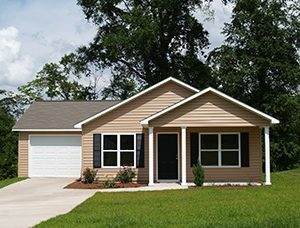 If it’s time to upgrade the siding at your home in Pensacola, Florida, you may have an important decision ahead of you: selecting the type of siding you want. From vinyl to wood to fiber cement to metal, your options are plenty and you may not have any idea which one to choose. But, truthfully, there’s one type of siding that stands above the others in terms of being low maintenance, ultra-durable, and beautiful – vinyl siding. Curb appeal – This type of siding can come in a wide range of colors to provide the exact look you want for your home. Best of all, in most cases, the color of your siding will be resistant to fading due to special color-lock technology. Ease of maintenance – No more scraping your siding or having to constantly re-paint it. Nope, with vinyl siding, all you need to do is rinse it down with a garden hose from time to time. Durability – Vinyl siding can withstand all the dings and dents that happen to a home’s exterior throughout the years, from wayward baseballs to hailstorms, without incurring any noticeable damage. If you’re convinced that vinyl siding is the right choice for your home, Let Majors Do It! We are a full-service home improvement company that has served area residents since 1997. We hold an A+ rating with the Better Business Bureau and a five-star rating with GuildQuality as evidence of our commitment to our customers. When you trust us as your siding contractor, we will honor that loyalty by providing you with individualized customer service and siding from one of the top manufacturers in the country. What are you waiting for? Contact us today to schedule a complimentary consultation.